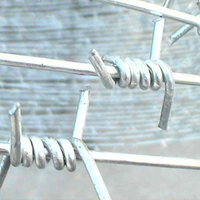 Stainless Steel Barbed Wire (also called barb wire) is a kind of wire that is used to make cheap fences. It has sharp metal points(barbs), which make climbing over it painful. 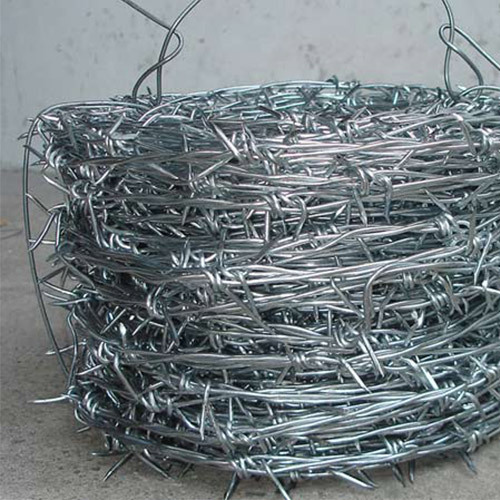 Barbed wire was invented in 1867 in the United States by Lucien B. Smith. 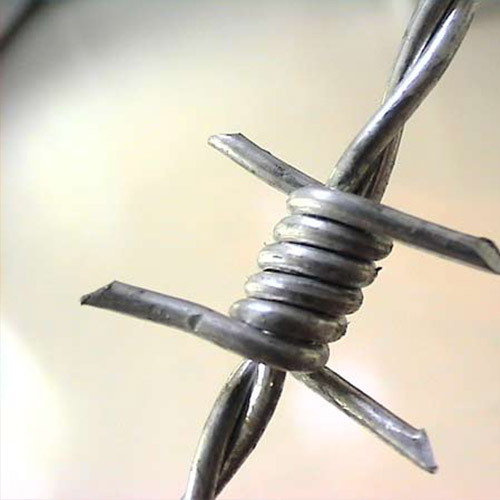 Barbed wire can be use for lots of things. 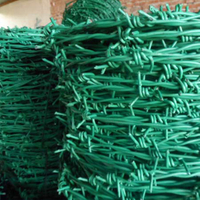 Wire Materials: Galvanized steel wire, low carbon steel wire, stainless steel wire, PVC coated iron wire in blue, green, yellow and other colors. 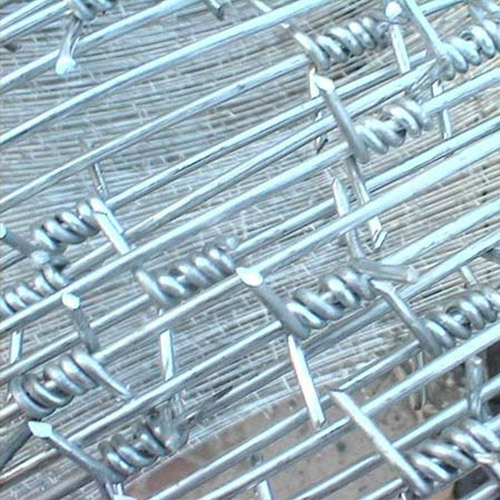 Wire Gauge: 180#×180#, 200#×200#, 220#×200#, 220#×220#, 250#×220#, 260#×220#, 270#×220#, 280#×220#, 300#×200#, 200#×200#. 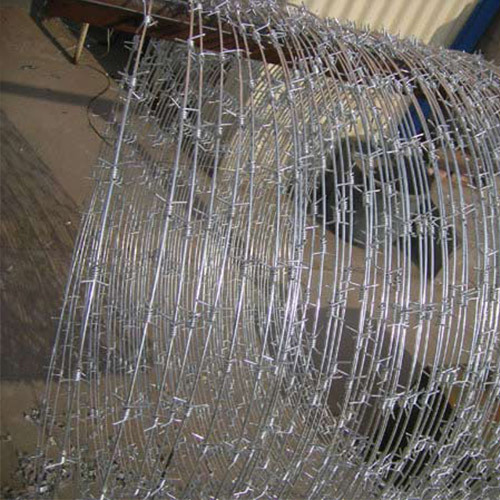 Stainless Steel Barbed Wire is mainly used in protecting of grass boundary, railway, highway, prison, etc. 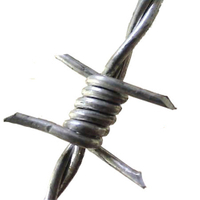 Currently, Barbed Wire been widely used by many countries in military field, prisons, detention houses, government buildings and other national security facilities. 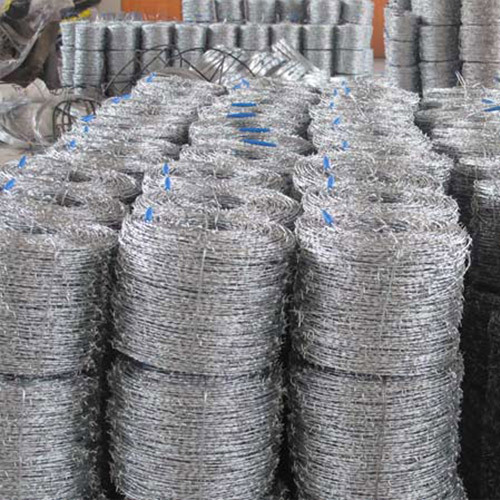 Recently years, barbed tape has apparently become the most popular high-class fencing wire for not only military and national security applications, but also for cottage and society fence, and other private buildings. 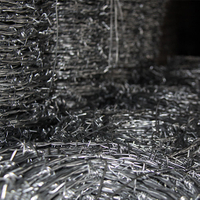 Packing: In coils by bulk, carton or pallet according to custmoer's request.